I'm currently off preparing my first mani for the 31 Day Challenge. I've created an in-linkz for every day of the challenge, so if you are a blogger who is also participating, who would like to include an in-linkz on your blog posts, and like to be as obsessively organised as me - then you will find all codes on my 31 Day Challenge In-linkz codes page. 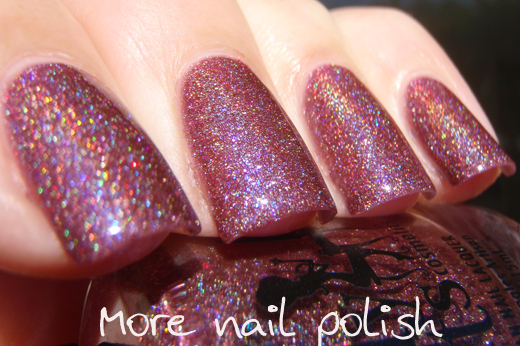 Now for today, I have three absolutely stunning polishes from Girly Bits. 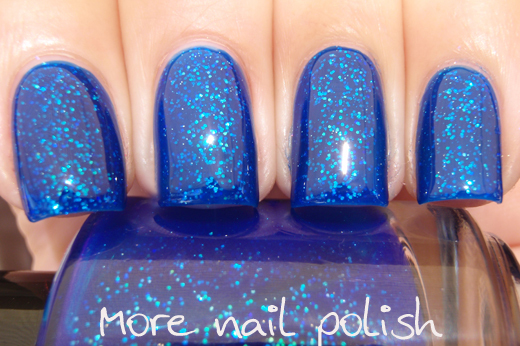 Blue Eyed Beer Drinkin Music Lovin Lawyer - A Special Edition polish created in collaboration with Julie from Wishes of a Blue-Eyed Girl for her One Year Blogaversary! 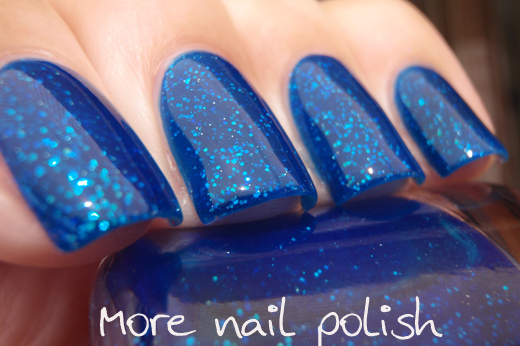 It's a deep royal blue jelly base with small blue hex glitters. The base colour for this is so pigmented and rich. Looking at the bottle I thought I might need a lot of coats, but I barely needed two. I thought I might end up a bit stained or definitely with smurf hands, but I was presently surprised after removing this that staining wasn't an issue. This is two coats with Seche Vite top coat and as you can see it's smooth and glossy perfectness. 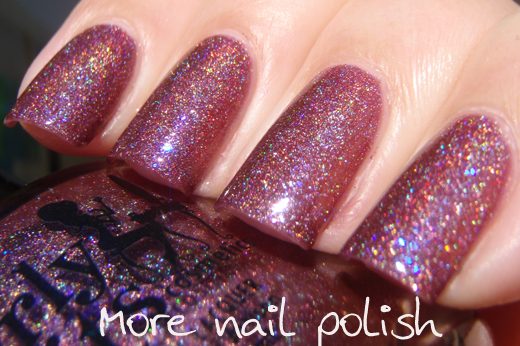 This polish is divine! 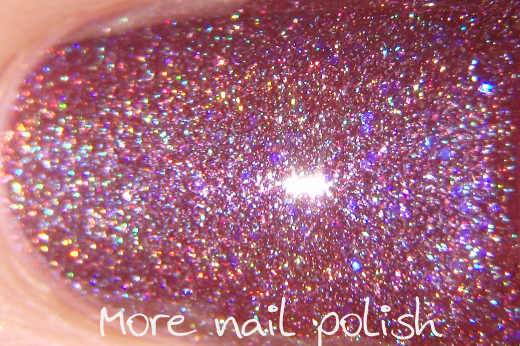 What Happens In Vegas...Ends Up On Facebook - a dusty eggplant shimmer with holo qualities and blue/purple colour shifting iridescent micro glitters, pink micro glitters and red micro shimmer. Sadly this one was a Limited Edition shade made for bloggers who visited the 2013 Cosmoprof in the USA and is now sold out. 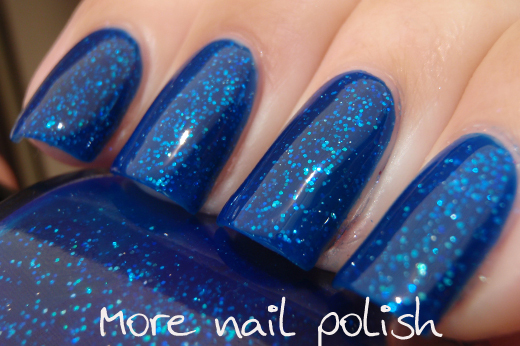 But we all still love looking at gorgeous polishes anyway. I dream one day of going to Cosmoprof in the USA, I just need to coordinate the timing with a family holiday! When that happens, I'm going to be able to meet up with all the epic bloggers that attend! Sofa King Messy - This polish was created because of a damaged shipment of glitter than Pam received, which I'm guessing ended up as a big mess over her sofa! 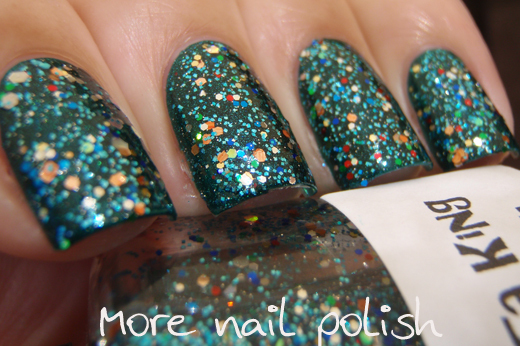 But she was able to salvage some glitter, add a few extra ingredients and create this stunning glitter top coat. I did just one easy coat over aEngland St George and one layer of Seche Vite top coat. 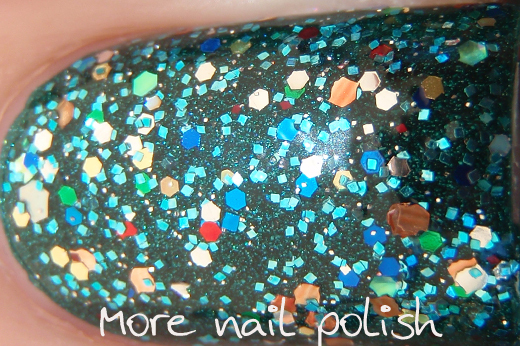 I love the overall aqua green tone to this polish whilst is still has a mix of lots of colours. I'm sure you can build this to opacity on it's own with two to three coats as well. I'm not sure if you noticed, but some of these bottles are Pam's new printed bottles. They don't even have clear label, the printing is on the bottle. Nice! Girly Bits polishes are available from the Girly Bits store, she also stocks glitter and franken supplies on her site too. Girly Bits are also available from a range of distributors around the world. The blue is my favorite, it's stunning! I love, love, love the first one, it's gorgeous!! By the way, did anyone catch the hidden name in Sofa King Messy?